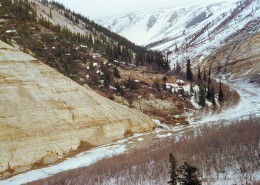 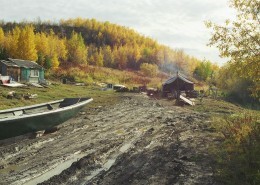 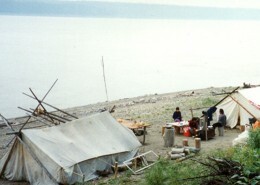 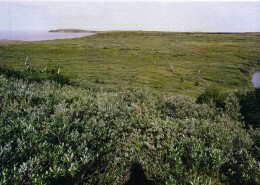 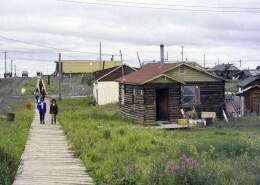 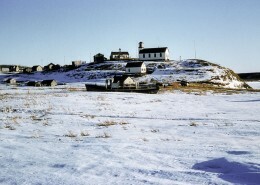 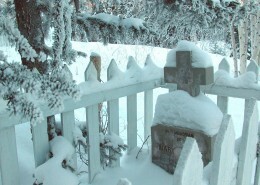 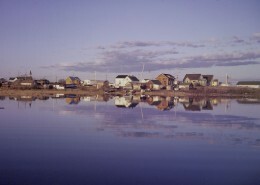 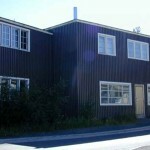 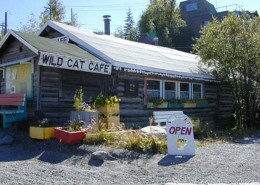 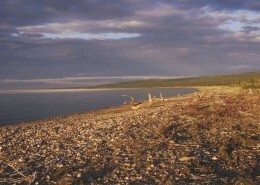 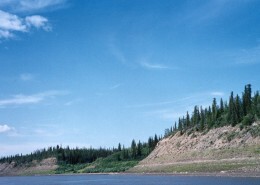 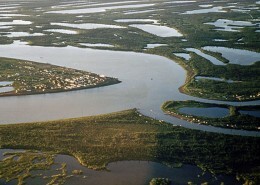 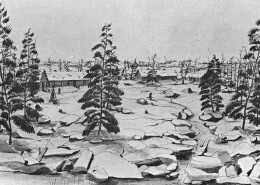 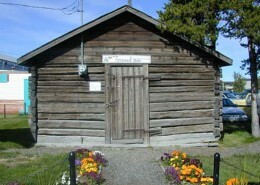 The Fireweed Studio is a City of Yellowknife Heritage Site. 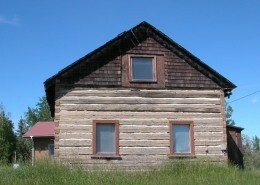 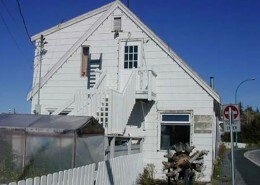 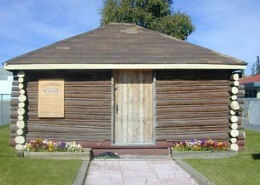 It is a single story log frame building. 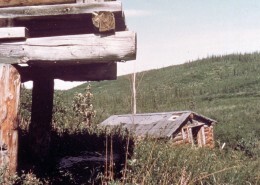 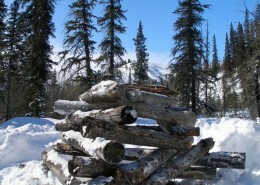 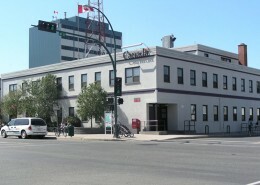 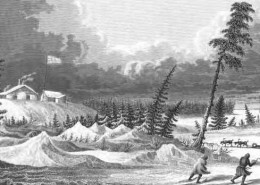 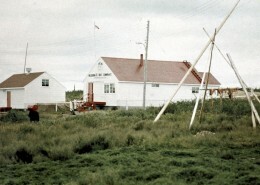 The quaint little log structure was relocated from Giant Mine in 1973 to 5210-49th Avenue in downtown Yellowknife to serve as the City’s first tourist centre. 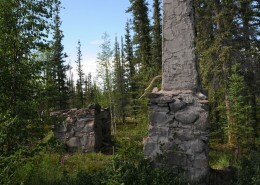 The building reflects the style of many old mining camps throughout the NWT. 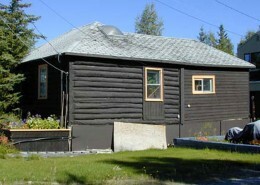 This building is a fine example of early log construction in Yellowknife, constructed in the early 1930s on Giant Mine property. 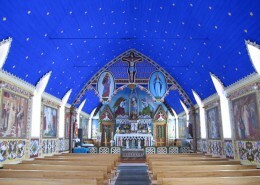 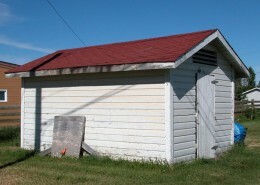 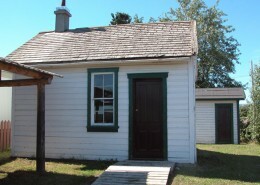 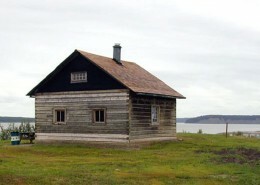 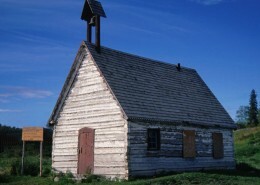 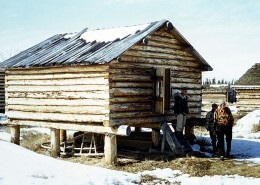 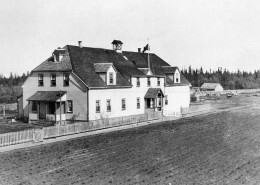 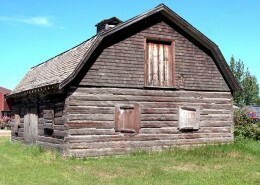 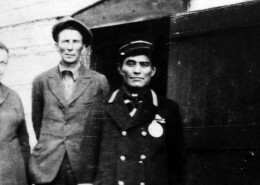 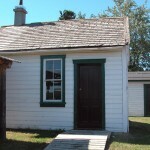 It originally served as a powder magazine shed (1938-1973), before being relocated to Yellowknife to serve as a tourist information centre (1978-1992). 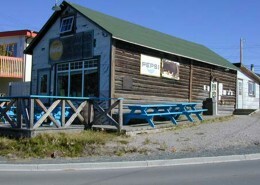 It currently serves as an artist’s studio and retail outlet. 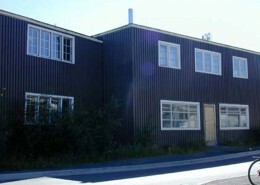 An attractive, well-kept, nicely weathered building, it has been a continuous part of life in Yellowknife since the 1930s. 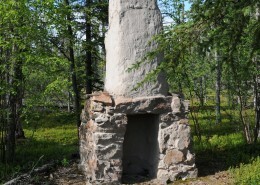 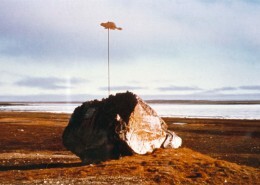 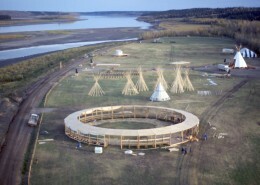 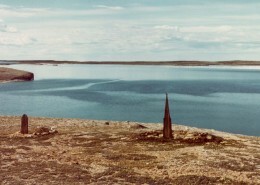 Today, in its location on City Hall grounds, it is a familiar landmark and symbol of Yellowknife’s early years.